PVA filament is a compound of PolyVinyl Alcohol (>75%), Aliphatic Polyol (<20%) and Calcium Distearate (<5%) , which comes in 1.75mm and 2.85mm diameter and is conveniently wrapped on a spool containing ±300 grams of filament. 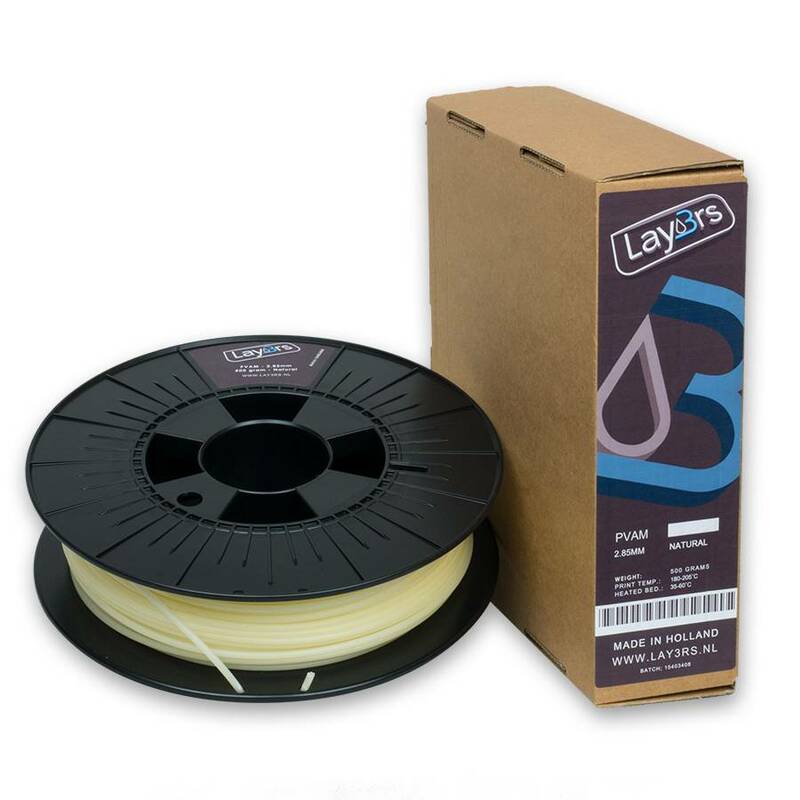 Our spool-wrapped PVA filament is packaged in vacuum sealed plastic with a bag of silica gel inside. AquaSolve™ - PVA printed parts dissolve completely in cold water. However, warm water will speed up the dissolving process. The fastest results can be obtained by dissolving our PVA in continuously heated bath of water.